DISPARITY BETWEEN WTI AND WCS, WHY? With the recent drops in oil prices and disparity between WTI and WCS, I wanted to interview an expert on the potential reasons why. It was my pleasure to have interviewed Tim Pickering, founder and CIO of Auspice Capital Advisors Ltd. The interview is interesting and I certainly learned a lot! Kal: Can you explain why there is such a spread between WTI and WCS? Kal: What do you think of the Alberta government buying rail cars to move more crude oil? Tim: IT is a desperate move for a desperate situation. The reality is it solves NOTHING right now. This a capacity will not be available until later in 2019 about the time Enbridge Line 3 (and other Enbridge operational efficiencies) kick in adding an estimated 825k bblpd. Kal: How will affect the price? Tim: It likely already has been partially priced in – perhaps a couple bucks for the 120k bblpd. The market looks forward. The problem is it is not a near term solution. The only way to do this is with production cuts. As one of the largest producers in the world, we are the only ones without a mechanism to control production. While nation sate owned oil (Saudi, Ven, MEx, Iran, Russia) can easily do this, free markets cannot. However, even the US has solved this in 2 ways – adding export capability and using the SPR (Strategic Petroleum Reserve – storage of oil and other petroleum products owned by the federal government). We do not have this ability and thus have a SYSTEMIC problem with our market. Kal: Where do you see crude prices headed? Why? Tim: We are bullish on global crude. The fact is the system balanced in early 2018 and demand is robust, strong and growing. The selloff that occurred since June can squarely be explained by the Trump/Iran situation. Trump called for sanction and they kicked in the last month. However, in anticipation of this sanction, Saudi Arabia and other cartel members added the lost million bbblspd. The sanctions effectively became moot when Trump offered waivers to the 8 biggest buyers of Iranian crude. As such this oversupplied the market. Like in 2014, this is an oversupply of light sweet NOT heavy sour. The US is ramping up production of light sweet NOT heavy. We believe crude cuts will come in the next week and given buoyant demand, crude will trend back above $60 WTI and $70 Brent where Saudi needs it to run a balanced budget. We believe the heavy discount will continue to narrow since bottoming on October 12th. The long term average is approx -$18, and we believe it is headed there in 2019 as we get closer to Enbridge. Kal: Can you explain your ETF and what the rolling 3 month period versus front month as other energy ETFs focus on? Tim: We chose to use a 3 month period to improve performance for the investor over rolling month to month in the front month as other ETFs (Horizons, USO) do. This reduces the month to month negatives effects if contango is present (while it cannot eliminate). IT also reduces the amounts of rolling by over 60% thus costs are reduced. Additionally, instead of managing the months (weightings are listed daily on the website) individual, Auspice gains the exposure via a swap contract To ensure reliable rolling and reduction of crossing bid-offer spreads in the market. Kal: With the price of crude falling so drastically, specifically WCS crude, the AUM of the ETF has fallen commensurately. Do you anticipate a risk of closing the ETF as you did with the GAS ETF? Tim: We have no plans to close the ETF. In fact, in the last 2 weeks, the float has expanded by 100% from 2.050MM units to 4.1MM units outstanding. We believe the ability to access Canadian crude present great trading opportunities due to the discount. By simple example, if you go long WWTI crude at $50 and it rallies $10, it is a 20% return. That same $10 on a $20 barrel of CCI (CDN Crude Index) is 100% gain. The variable is the discount. As solutions (Trans Mountain, Keystone, rail, productions cuts) come closer, this discount will narrow while the demand for heavy crude is proven (again back to the Maya premium over WTI illustrates this). We see a promising future for CDN oil with solutions to the discount coming over the next 1-5 years. We did not see the same solution for CDN gas as LNG is still 5-10 years away. Kal: Anything else you’d like to add? 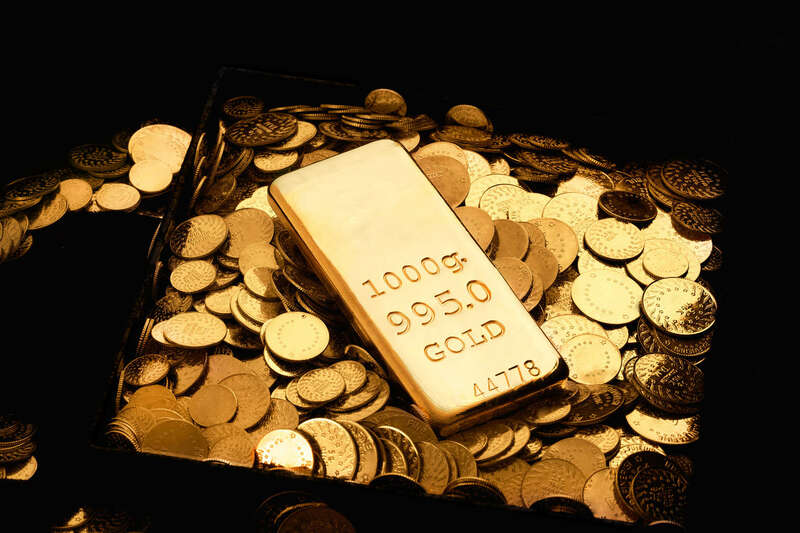 Tim: Yes – Investors constantly resort to gold as the commodity of choice to represent the broad commodity sector and moreover, an inflation hedge. The reality is, oil is a far better choice on both accounts. And if you are going to buy oil, buying the cheapest makes sense if we believe the discount will be steady or narrow. Given we have reached the crisis point and solutions are slowly coming to fruition, the discount will likely narrow over time. As such, the discounted crude acts like organic leverage. We believe crude, specifically CDN crude discounted deeper than the long term average, should represent a piece of every Canadian investors portfolio. Given the low point in the general commodity cycle, the inflation protection benefits, and this deep discount, it should represent 2-3% of a portfolio. Lastly – we created this product to allow all investors access to a great market that was been the domain of the wholesale physical traders (where we came form at Shell). It is the ONLY way to get this exposure. It is also the only way to get access to ANY heavy crude globally for retail investors. Kal: This was an in-depth interview. I’m not certain about your comments about gold but oil is often referred to as ‘black gold’. Thanks for your time Tim. Tim: You’re welcome Kal. My pleasure.